Call it karma, kismet, or just the fallout from teenage drivers. I had a VW bug as a teen – totaled it. 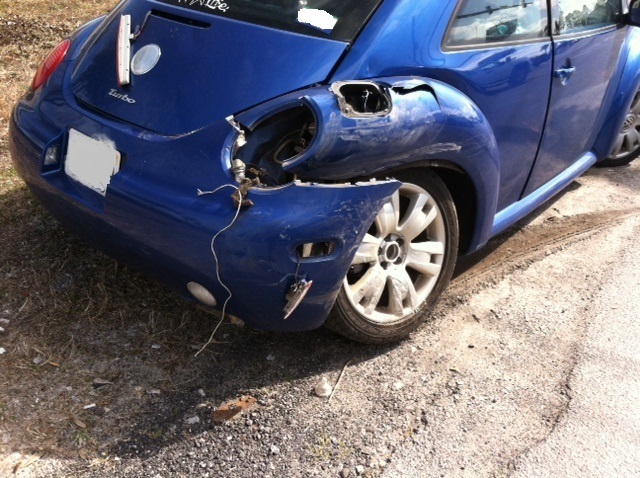 Now my daughter has totaled her VW bug. On the bright side, both of us walked away from our accidents unscathed, the most important thing, of course. Still gotta sigh at least a little though. 😉 Do you still remember your first car accident?